Pop is back and better than ever; however, it's not how you've heard it before. 2017 and 2018 have led up to this new era of pop. This era introduces a bubblegum dance and avant-pop sound. In some tracks, there is a clear emulation of old 2000’s pop with a millennial twist. These artists are working toward a more inclusive music space where women and queer artists are visible and represented. In 2019, these women are changing the pop scene into one that is inclusive for all. With that said, they need to all be on your radar this year. In 2017, Sawayama came out with her first EP called Rina. On this EP, she explored internet culture while using an exciting and unique pop sound throughout the piece. In 2018, she released singles; however, there was no album to follow Rina. The single “Cherry” covered a topic Sawayama had not covered in her songwriting which was her sexuality. She ended 2018 with the single “Flicker” which voiced her experience as an artist of color. Though she may not have a typical name, it will not stunt her success. In her words, “when you're down, feeling low. Just remember your name” This track is uplifting and self-assuring to those who may feel let down due to society’s inability to accept them. In an interview with Anthony Fantano of the Needle Drop, she said that in the new year she will write and complete an album. This will be Sawayama’s first album. On the next album, we should expect to hear some tracks paying homage to the 2000s like her tracks “Take Me As I Am” and “Ordinary Superstar”, but we should also expect some left hooks. I guess we will have to wait and see where Sawayama is going to go in her upcoming project. Only as of 2018, has Slayyyter appeared in the pop scene. In an interview with FADER, she told them that she originally made 80s lo-fi pop. However, she thought it was boring so she moved over to her favorite genre— pop. Once she started making pop music she sought help from producer Ayesha Erotica, who produces almost all her tracks. Her tracks “BFF”, “I’m High”, “Alone”, and “Candy” all include the same effect over Slayyyter’s vocals and an experimental beat to accompany it. Her tracks emulate that of Britney Spears circa 2000. Slayyyter’s online presence is crucial in understanding her persona as well. On her Twitter and Instagram, you will find grainy Mac Photobooth pictures that look like they were taken in 2007. Her style screams the late 2007. She thanks Twitter stans for her success specifically Charli XCX stans. In 2019, we hope to hear an EP or album from Slayyyter, but if not we are sure to get hits all throughout 2019. Woo-Ah! German pop-star Kim Petras is an artist that you don’t want to sleep on in 2019. Petras is a transgender woman; however, she told HuffPost that “I hate the idea of using my identity as a tool.” In 2017, Petras came out with the sugar baby anthem “I Don’t Want It At All”. Throughout 2018 she came out with 7 other singles with the same cover art in different colors. Fans were dying for a full-length piece from Petras since they were being teased with singles monthly. Petras hinted at an EP and she gave the fans what they wanted with her Halloween mixtape TURN OFF THE LIGHT, VOL. 1. Fans were surprised to see Petras take pop and make it spooky. The track “Close Your Eyes” used banging beats accompanied with a vicious chorus. This was something that fans had not seen from Petras before. At the end of 2018, she gave fans a sneak peek of her recording studio in Hawaii confirming that she is indeed recording. She has tracks set to come out with Sophie in the new year and she’s likely to be featured on the new Charli XCX album. In February, she will be headlining her first shows in New York City and Los Angeles. Be sure to check her out before she becomes the worldwide pop star she’s expected to become. Check out a review of her mixtape here. Sophie is a Grammy-nominated artist who has been in the pop scene for years. She’s collaborated with Charli XCX on numerous occasions such as the Vroom Vroom EP and tracks like “Lipgloss” and “Girls Night Out”. Up until 2017, Sophie disguised her identity. With the release of “It’s Okay to Cry”, Sophie announced that she is a transgender woman. She not only used her voice on the track but also her identity. In June of 2018, she released her first EP OIL OF EVERY PEARL’s UN-INSIDES that featured catchy yet disorientating tracks such as “Immaterial” and “Ponyboy”. Other than making tracks of her own, she produces for many artists. Whether its the sounds of pots and pans to heavy synthesizers, Sophie’s sound is clearly her own. Sophie is mixing up the pop scene with experimental pop beats that have never been heard before. Recently, her work has caught the attention of Grammy-award winning artist Lady Gaga. When asked about the collaboration by a fan, she responded, “Yes. I mean whatever, you know. I work on a lot of different things. If it comes out, then it's cool. You can never tell. But she's a really cool person." In 2019, we will definitely be hearing from Sophie whether it's from an album of her own or production on another artist’s track. It’s Charli baby. For years, Charli has tried to break out of the pop-star mold created by the labels she’s worked with in the past. In 2018, Charli came out with bop after bop proving that she is more than a general pop star, but rather a pop genius. Charli had not one, but two albums in 2017 with lively tracks like “Lipgloss”, “Blame It On U”, “Unlock It”, and many more. 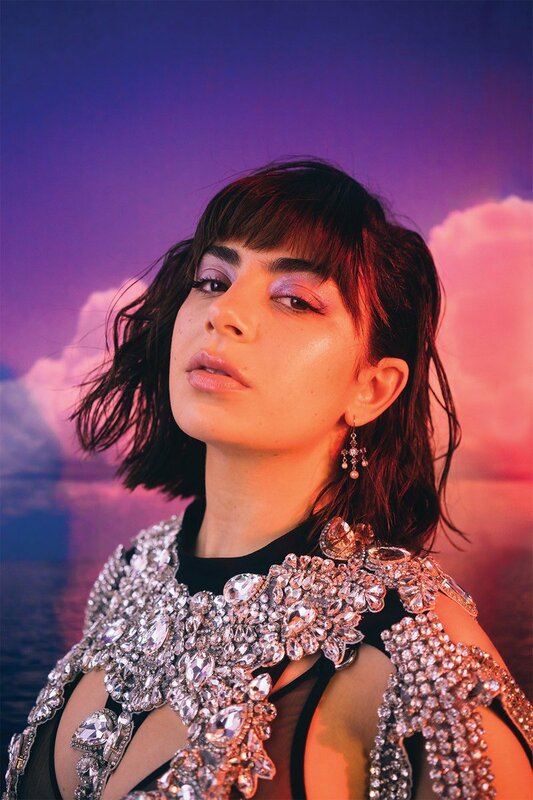 Charli collaborates with many big names such as David Guetta, Mura Masa, Lil Yachty, Carly Rae Jepsen, Bhad Bhabie and many more. In an Instagram post, Charli confirmed that she will not only write an album in 2019 but she will also complete one. Though there was not an album in 2018 from Charli, she did not leave her fans waiting. She came out with 10 singles. Some were of her own and others were collaborations with other artists. One track, in particular, made an impact in 2018 and that was “1999”. “1999” featuring Troye Sivan made its way up many charts for good reason. The track features a fun electric beat along with nostalgic lyrics even though Charli and Troye were only children in 1999. In 2019, we can expect more singles from Charli and finally an album that fans have been patiently waiting for since 2017.